Drone regulations and links for people flying drones in New Zealand. According to New Zealand’s national aviation authority, the Civil Aviation Authority of New Zealand (CAANZ), flying a drone is legal in New Zealand, but we recommend being aware of and compliant with the drone regulations listed below before doing so. 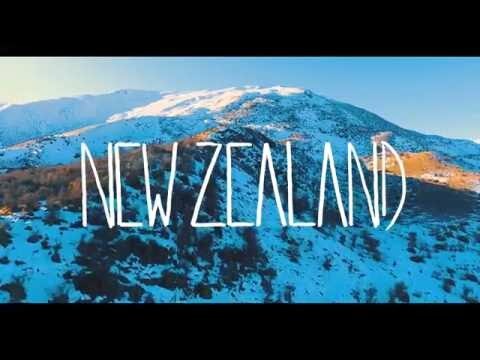 Why fly a drone in New Zealand? To get great aerial shots like these! Based on our research and interpretation of the laws, here are the most important rules to know for flying a drone in New Zealand. Drones must weigh 25 kilograms (55 pounds) or less, and drone pilots must ensure that their drones are safe to operate before flying. Drone pilots must at all times take all practicable steps to minimize hazards to persons, property and other aircraft (i.e., don’t fly recklessly). Drones must fly only in daylight. Drone pilots must maintain a direct visual line of sight with their drone at all times. Drones must not fly higher than 120 meters (394 feet) above ground level. Drone pilots must have knowledge of airspace restrictions that apply in the area where they are operating. Drone must not be flown within 4 kilometers (2.5 miles) of any aerodrome. To fly in controlled airspace drone pilots must obtain an air traffic control clearance issued by Airways. Drone pilots may not fly in special use airspace without the permission of the administering authority of the area (e.g., military operating areas or restricted areas). Drone pilots must have consent prior to flying over a given person. Drone pilots must have the consent of a property owner or person in charge of an area before flying over it. Check with your local council or Department of Conservation before flying in public places like parks and reserves. Do not fly a drone over marine life. Under the Marine Mammals Protection Regulations of 1992, when operating at an altitude of less than 600 metres (2,000 feet) above sea level, no aircraft shall be closer than 150 metres (500 feet) horizontally from a point directly above any marine mammal. For more information on New Zealand drone laws, see this page on the CAANZ website. Know something we don’t about drone laws in New Zealand? Send us an email at support[at]uavcoach[dot]com. We are not international aviation attorneys and do our best to keep this page up-to-date for drone pilots, but the reality is that given the pace of the small unmanned aerial system (sUAS) industry and how governments are responding, drone regulations in New Zealand can change throughout the year, and those changes can be hard to track. If we missed something, please reach out to let us know.